The chief minister pointed out that some politicians, including a minister in his cabinet, had already shown the way by volunteering for drug screening. 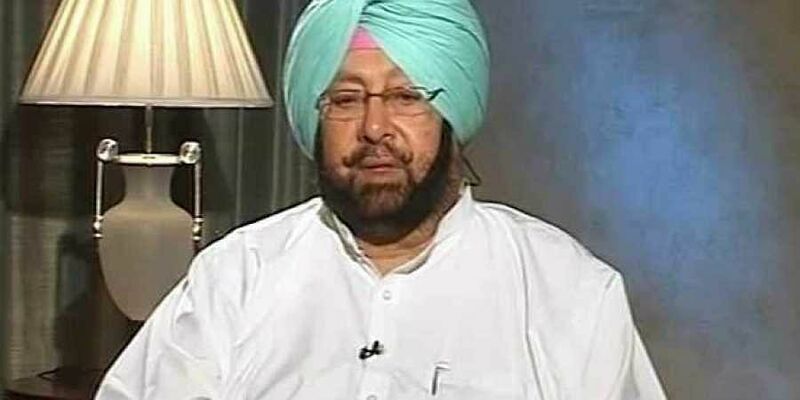 CHANDIGARH: Punjab Chief Minister Amarinder Singh said today he was willing to undergo a dope test but would leave it to the conscience of other elected representatives if they wanted to follow suit. He was responding to demands from certain sections, including the opposition parties and also from within the Congress, that politicians should also be made to undergo dope tests as had been mandated for government employees. "I have no problem taking a dope test," said the chief minister. Given the gigantic scale of the drug problem, nobody should be having any problems about taking such a test, he said. He said no fingers had so far been raised at any politician in the existing regime of the complicity of any kind in drug abuse or trading. However, if any minister or MLA feels the need to offer to take the test, they are welcome to do so, Amarinder Singh said. The chief minister, in a statement, said he would have no hesitation in doing so. Earlier today, AAP MLA Aman Arora had challenged the chief minister to undergo a dope test to set an example for his ministers and MLAs. Arora underwent a dope test at the Mohali civil hospital, saying he considered it his moral responsibility to do so. The Punjab Government Employees Organisation had also demanded that ministers and MLAs must undertake similar drug tests. "We have no objection to the dope test. But why only government employees are being targeted? We are not drug addicts," said the organisation president Sukhchain Singh Khaira. "The ministers, MLAs who also draw salary from the same state treasury like us, should also undergo the test," he added. Punjab Cabinet Minister Tript Rajinder Singh Bajwa, who favoured that all politicians should get a dope test done, also went to the civil hospital for a test. However, his test could not be done as he was under medication. Congress leader Manish Tewari had welcomed the move of Punjab government for conducting the dope test of employees. However, the former union minister said the test should be made mandatory for all MLAs and MPs from the state.